This post will explore what the changes to the Ad Grants policy are from January 2018, and how they could impact your charity if you’re using the programme, as well as those who are thinking of applying. Google has recently announced a host of changes to Ad Grants and in typical Google style, there hasn’t been a huge amount of warning. Don’t worry, Peaky Digital are here to explain the changes and all you might need to know! What Are Ad Grants and How Do They Work? If you think you are eligible and would like to apply, you can check the full eligibility criteria here. What Guidelines do Google Ad Grants have? 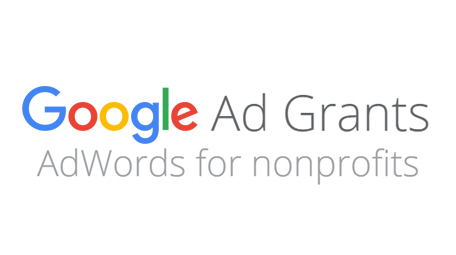 You’ll receive $10,000 USD (up to $40,000 USD for Grantspro participants) of in kind AdWords advertising each month. What Does the Updated Ad Grants Policy Say? Ad Grants accounts have always been regulated by the standard AdWords policies, but as of January 2018 all Ad Grants accounts must abide by an updated policy, aimed only at the non-profit programme. Arguably one of the more controversial points of the new policy; It is a tall order to expect a non-specialist to be able to maintain an Ad Grants account to a 5% CTR when they may have other duties to perform. Google wants to make sure that their money is being well spent. They will view a 5% CTR as a minimum standard to ensure that the end users are being well served with compelling ads that are relevant to the searcher. You will receive a notification if your account becomes at risk, and you will have two consecutive months to ensure compliance. There may be instances where you fall short of one requirement at some time or another for perfectly legitimate reasons. Google ultimately wants you to spend your budget on effective and compelling ads. They aren’t setting out to penalise anyone unnecessarily. You will, therefore, be notified of any compliance issues and you can submit a reconsideration request once you have had a chance to fix the problems they have outlined. These new changes will be concerning for most non-profits. By just maintaining your account in-line with the above recommendations, you will remain compliant and you may find that your campaigns perform better. If you’re struggling with the changes to Ad Grants or your account management, we can help. Contact us today to discuss your requirements.